Hello members! Fellow BTC member, Todd Phelps, has donated a beautiful custom-made and hand-stitched leather gym bag with the BTC name and logo’s prominently featured. 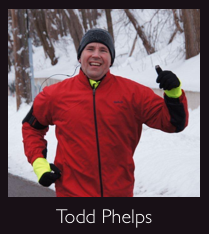 Todd came to the board with an idea to raise some extra funds for the club and we really appreciate his sentiment! What’s been decided is that we will purchase a number of Kiefer Swim Safe Buoys with the proceeds for our Wednesday evening and Sunday morning open water swims. As a club we recognize that it can be intimidating to head out on the lake in open water and these buoys are a great tool to help keep people safe. On top of that you get a chance to win what will obviously be the coolest gym bag in town! 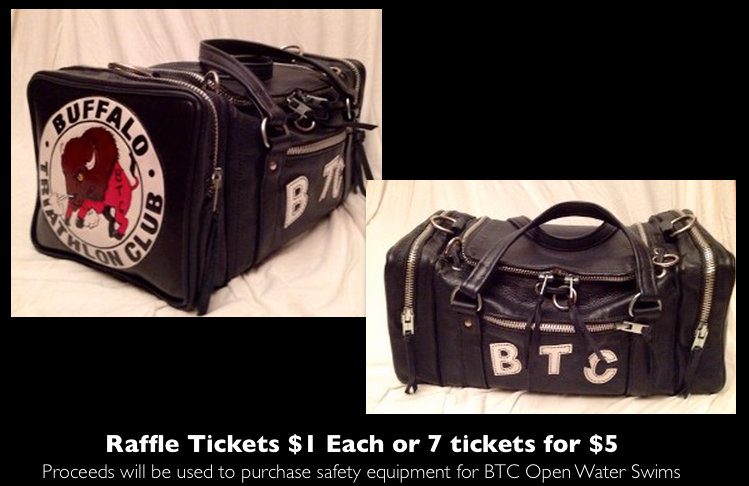 We will be selling raffle tickets at our BTC events (bricks, time trials, swims, etc) for $1 each, or $5 for 7 tickets. We will draw the winning ticket at our end-of-the season get-together at Dug’s Dive. Our end-of-season event is tentatively planned for September 24th. Stay tuned at our Facebook page as well as in your email inbox for more details on that!